Comprehensive support that quickly gets you back to work. In today's business environment, there are a few certainties: technology is vital; computer problems will occur; and productivity losses can be crippling. Your company relies on its computer systems and networks, but when systems are down, operations grind to a halt. Support becomes essential to your business. 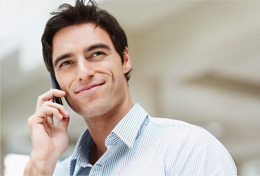 Fortunately, there is a fast, flexible and professional solution: Digital nGenuity Support. Digital nGenuity Support Services deliver comprehensive technical support for a variety of businesses. With rapid response, senior-level support, and a state-of-the-art customer support system - Digital nGenuity puts it all together in a complete technology Support solution specifically designed for your organization. Our abilities include all levels of on-site support. By working closely with you, to gain a full understanding of your environment, we offer you a complete range of services designed to meet your needs. Our broad spectrum of support services include consultation and support for daily operations, project rollouts, upgrades, migration, and recovery. With Digital nGenuity, you can rely on rapid response support with multi-vendor technical expertise, on demand and on budget. Digital nGenuity is experienced in providing consulting services and business solutions. We can improve your business efficiency through the implementation of technology and ongoing support. 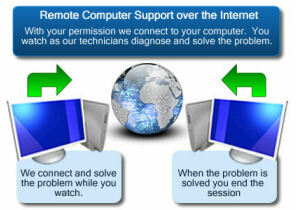 Technical support is one of the most important services a computer company can offer. What good is a computer system or program if it doesn't function properly? Here at Digital nGenuity, we take technical support very seriously, we offer 24-7 support. Depending on the level and type of support you are looking for, we offer various support contracts that accommodate any size business and budget. .